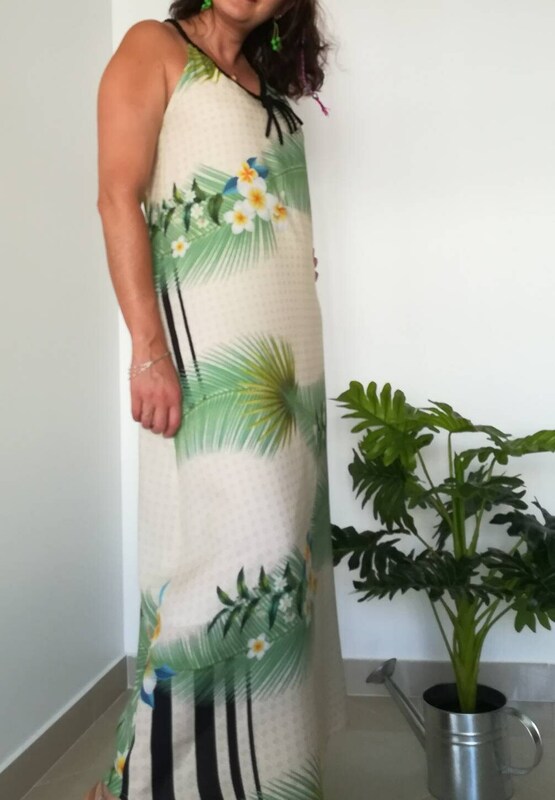 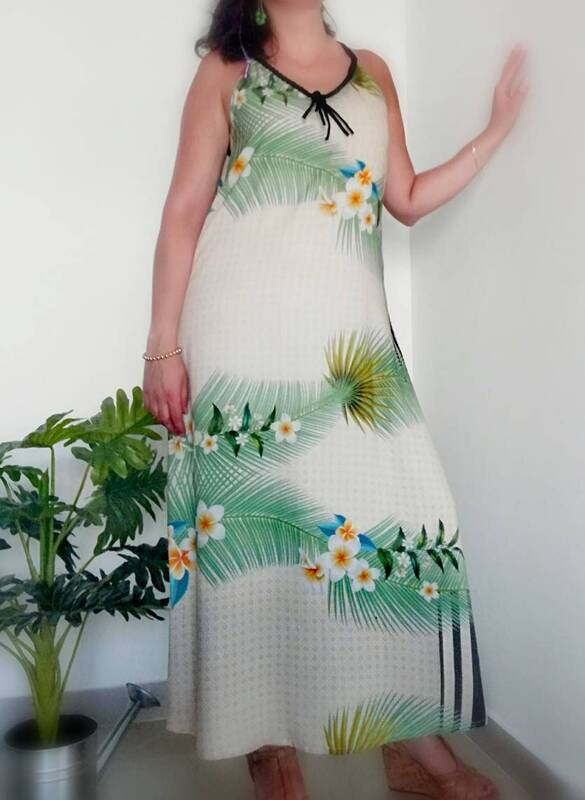 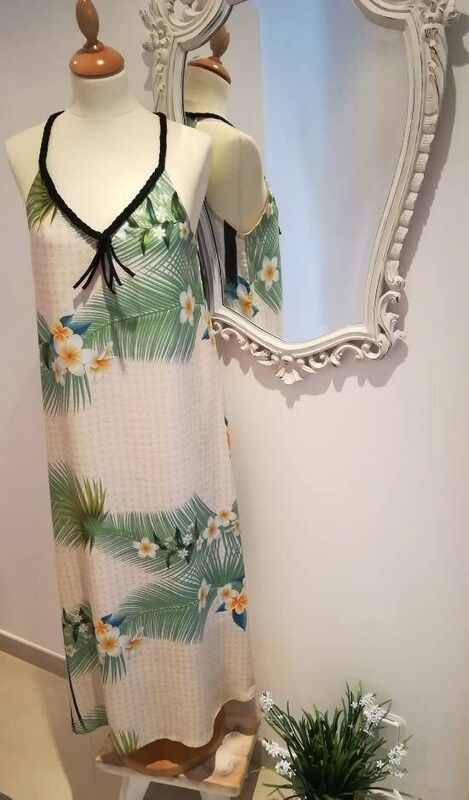 Spectacular long summer dress made of cotton light fabric with tropical pattern. 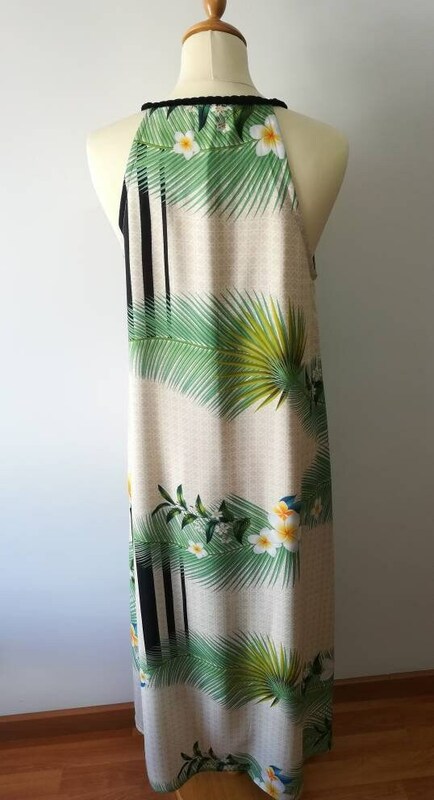 In shades of beige and green, with asymmetric pattern, it combines with black cotton knit braid that makes the handles and necklines. 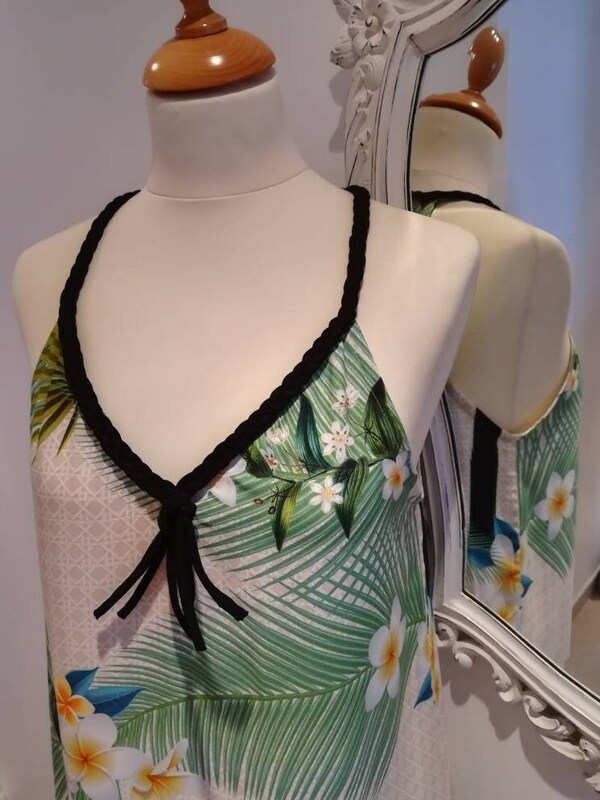 Lined with white Lycra mesh lining to be lighter and comfortable. 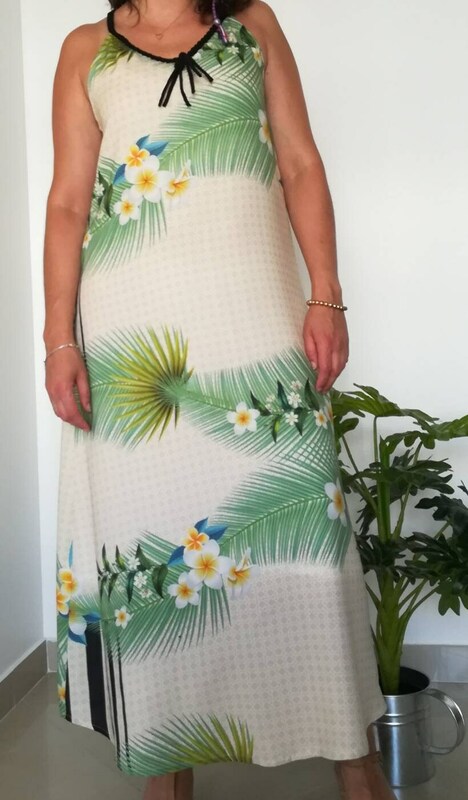 If you want other sizes, a tailored piece or custom order, please contact me. 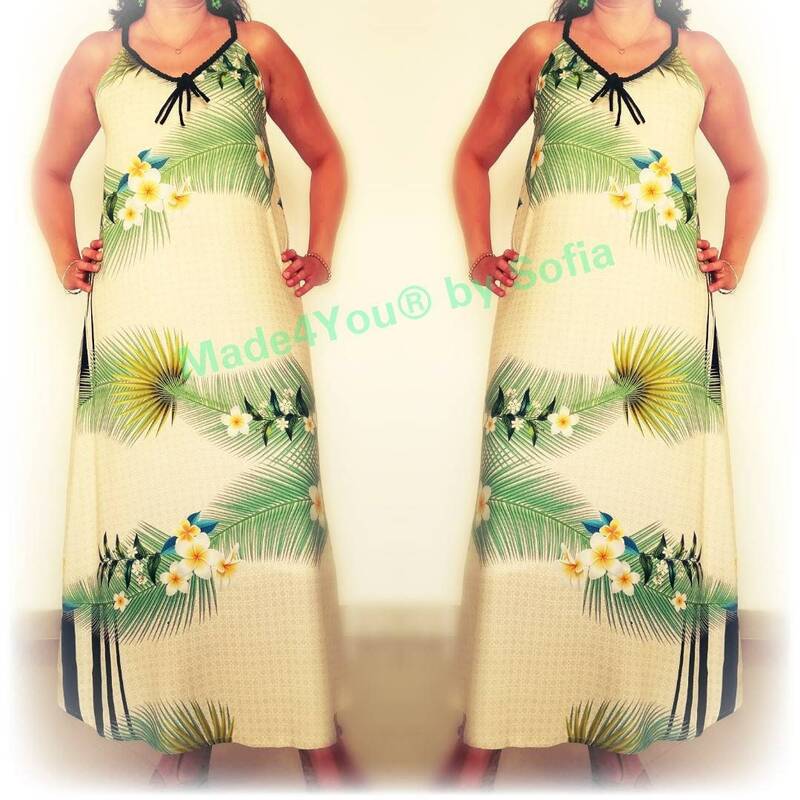 You may also like other dresses "Made4You by Sofia", visit our section "Dresses & Skirts"